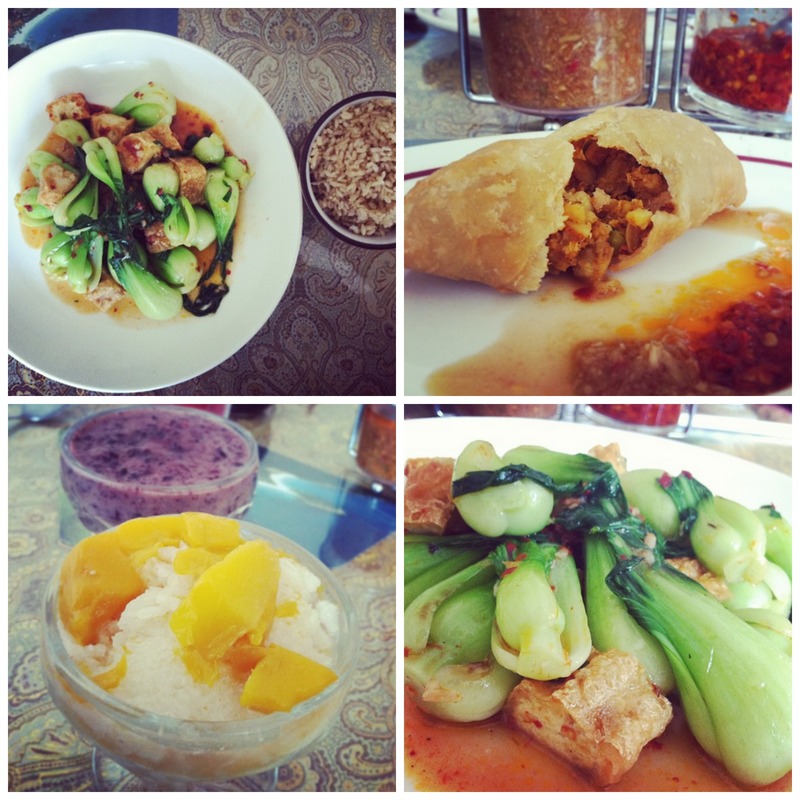 lehigh valley vegan food | Save the Kales! I get a lot of emails from people traveling in the area, or maybe moving here, who are looking for suggestions for places to eat. But sometimes I’ll hear from a restaurant owner or chef telling me about the special vegetarian and vegan options they are offering. 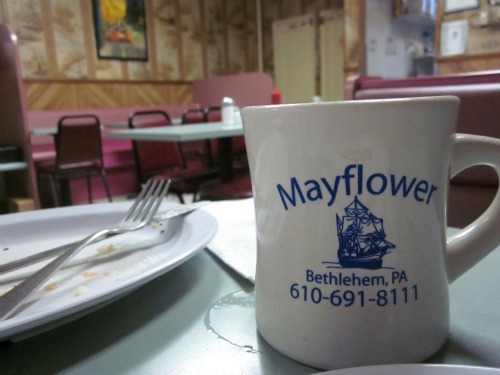 Mayflower Lunch, Bethlehem PA. Good coffee. Such was the case with Mayflower Lunch. They reached out one day to say “Come in and try our lentil soup, it’s vegan!” Mayflower is a place I’ve driven past hundreds of times but never visited, mainly because it appears to be everything that makes up a small, been-here-forever-Townie-favorite eatery: and with that usually comes nothing I can eat. I’m happy to report I was wrong about the last part, but so very right about the first part. 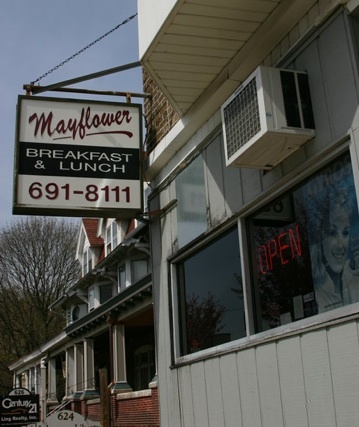 Being in Mayflower Lunch makes my soul feel good – this is the sort of place I’d go to with my Dad after we finished with a day of antique shops and Roadside America-type kitschy small town exploring. It’s a warm atmosphere, the wood-panelled walls feel like a cozy living room, and the food tastes like it was cooked by a loving Mom. 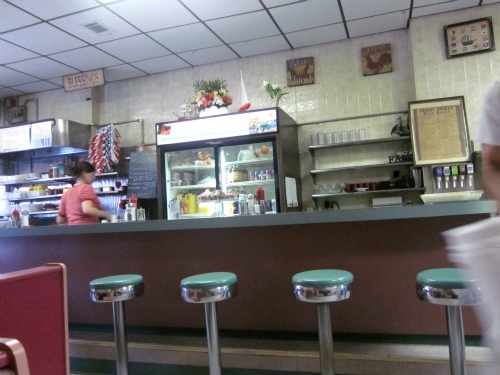 I was surprised to learn that deliberate vegan options were in such a nostalgic place. But was tipped off by server-extraordinaire Amber (go and say hello, she’s great and has the best earrings) – the owners eat vegan a few months a year because of religious customs, and therefore are well-versed in animal derived ingredients and, better yet, how to make delicious food without them. 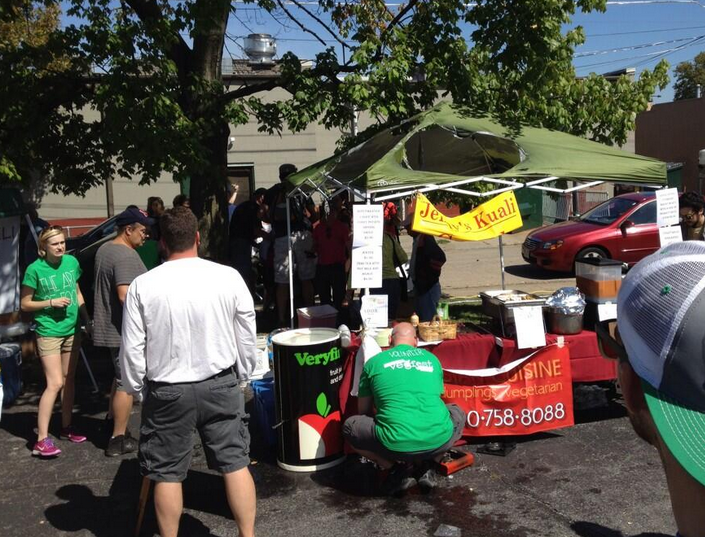 Tuesdays are the days a lot of traditional Greek foods are made fresh, so if you’re looking for falafel or stuffed grape leaves, they should be plentiful that day. Many of the soups made are vegan (lentil, navy bean, spinach and chickpea, etc…), so just ask Amber (or anyone there) what’s vegan that day and they will happily make sure you are well fed. This is the meal I ate last time I was there; Spanikopita (made special without feta! 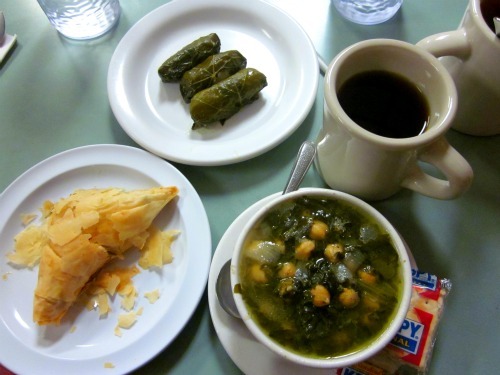 ), stuffed grape leaves, spinach and chickpea soup, coffee. Ryan ordered an item off the menu and got some hot tea. Want to know what it cost to feed two people with all of that food? Delicious food from Mayflower Lunch. About $14.50. Yes. That’s right. Less than fifteen dollars. And the food was delicious. Simple, whole foods and recipes that have probably been passed down through a few generations. It’s not dressed up, it’s not fancy. It’s just good. Really good. 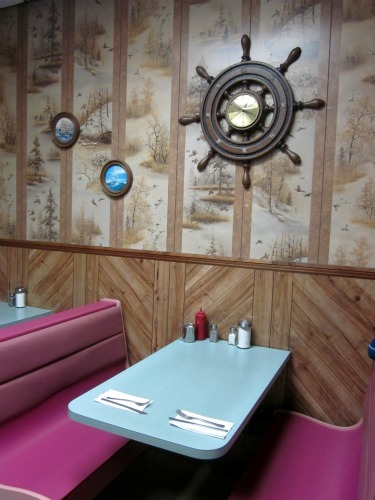 *Note that it’s called Mayflower Lunch for a reason. These folks are done at 3pm, so plan accordingly. That said, if you pull an all-nighter and find yourself starving at 6am, they will be open and ready to feed you. 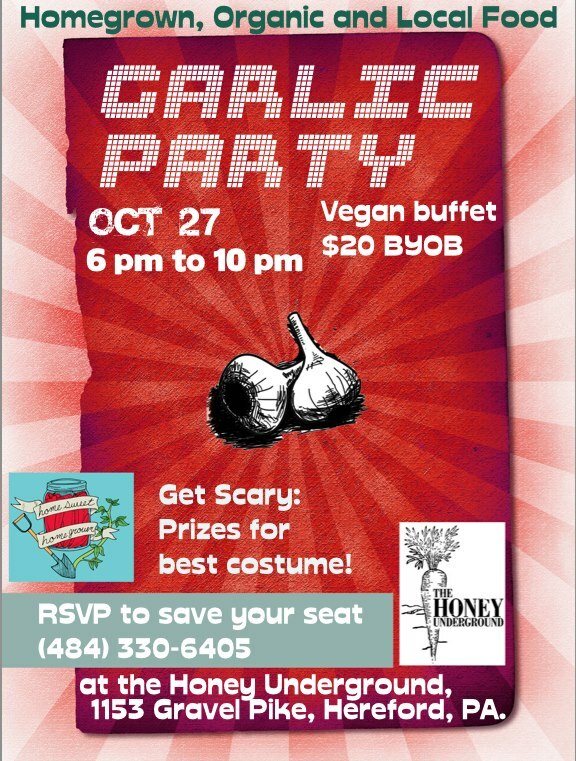 Also, bring cash.